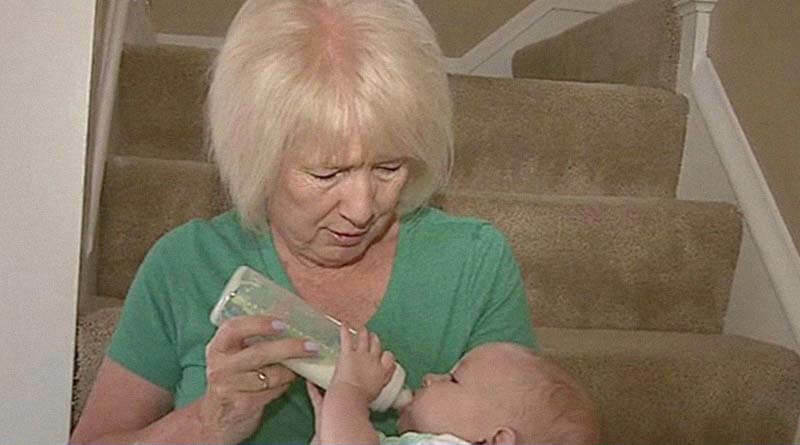 This Is The Reason Why Grandparents Who Babysit Live Longer - ShareIt! It has been shown that people who live isolated and feel left out face difficulties to perform their tasks during the day, which also reduces their mobility, and led to health decline and even death. Researchers have also shown that 5th and 6th graders who had a secure relationship with their mothers felt less lonely, had stronger friendships, their peers accepted them better, and were responsive, communicative, and less critical in conversation, in comparison to children who had a weak relationship with their mothers. Studies have found that the negative experience of children in terms of their relationship with their parents causes irritation and stress. Furthermore, the relationship between the child and the grandparents is also of high importance, so it needs to be nurtured. Three years ago, Gerontologist published a study conducted by researchers from Boston College, which analyzed the effects of both, grandparents and adult grandchildren on each other over a long-term relationship. Their study involved 374 grandparents and 356 adult grandchildren and collected data for 19 years, from 1985 to 2004. They found that the strong relationships between grandchildren and grandparents reduced depressive symptoms in both. Yet, they also discovered that for grandparents only, the depression symptoms increased when they got functional or ‘tangible’ support without also providing it. Hence, researchers found that our grandparents enjoy giving much more than receiving. They want to be involved and engaged with their grandchildren. During the two decades of the study, numerous grandparents who gave and received tangible support experienced the fewest symptoms of depression. Sara M. Moorman, associate professor of sociology at Boston College, explains that “more grandparents and grandchildren to engage in this type of exchange [as it] may be a fruitful way to reduce depression in older adults. The researcher Shalhevet Attar-Schwartz of the Hebrew University of Jerusalem stressed the importance of parents in this grandchild-grandparent relationship. “Parents should be aware of their role as gatekeepers in the relationship between their children and their parents. They should also be aware of grandparents’ potential to be an important resource in their children’s lives, especially if the family is undergoing a change, such as a divorce or a remarriage, or if the child is undergoing a painful or challenging experience. Therefore, if you are a parent, you should be aware of the fact that grandparents are a true essential for life for your children. You should bridge the relationship between both generations, and it will provide happiness and wellbeing to all of you.